BEACH MODERN GETAWAY WITH HEATED POOL AND NEW 7 PERSON SALTWATER HOT TUB!! 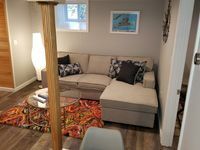 Property 5: BEACH MODERN GETAWAY WITH HEATED POOL AND NEW 7 PERSON SALTWATER HOT TUB!! Property 9: Cozy studio cottage - within walking distance of the beach and dining! Property 13: AFFORDABLE OCEAN EDGE CONDO FOR FOUR! Property 20: Seaside suite w/tennis courts and a shared pool, perfect for romantic getaways! Taylor's Pharmacy Guesthouse - Your home away from home in Southern New England. 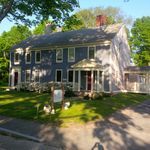 Property 21: Taylor's Pharmacy Guesthouse - Your home away from home in Southern New England. NEW Modern Apartment Near Boston & Harvard Square. Property 22: NEW Modern Apartment Near Boston & Harvard Square. The Masthead Condos! Gorgeous Two Bedroom on the West End Waterfront!! Property 28: The Masthead Condos! Gorgeous Two Bedroom on the West End Waterfront!! #107: Cool spot for two - just steps to Commercial street and the beach - dog friendly! Property 29: #107: Cool spot for two - just steps to Commercial street and the beach - dog friendly! NEW LISTING! Beachy condo w/private, shaded deck - 1/2 block to the beach! Property 31: NEW LISTING! Beachy condo w/private, shaded deck - 1/2 block to the beach! Amazing water views, light filled, spacious, private upper deck, 2 BR 2 BA, WD. Property 33: Amazing water views, light filled, spacious, private upper deck, 2 BR 2 BA, WD. Serene Seaside Getaway at Seaside Villa! Property 38: Serene Seaside Getaway at Seaside Villa! Property 39: #422: Waterfront w/ amazing views! Boat Dock; Dog Friendly! Property 41: Pristine Year Round Retreat in Private Lewis Bay Compound w/video tour! Cozy with all the amenities. Mark and Cynthia were wonderful. The home was cozy, had all the amenities and was clean. The bed was very comfortable. The internet was fast speed and there was a TV in the bedroom however, I did not use it. You are very close to the bike path. There was plenty of parking. Great place. Clean and comfortable. Excellent location!